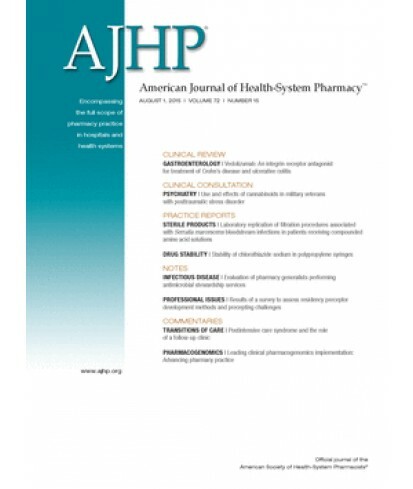 American Journal of Health-System Pharmacy - Philippine distributor of magazines, books, journals, etc. 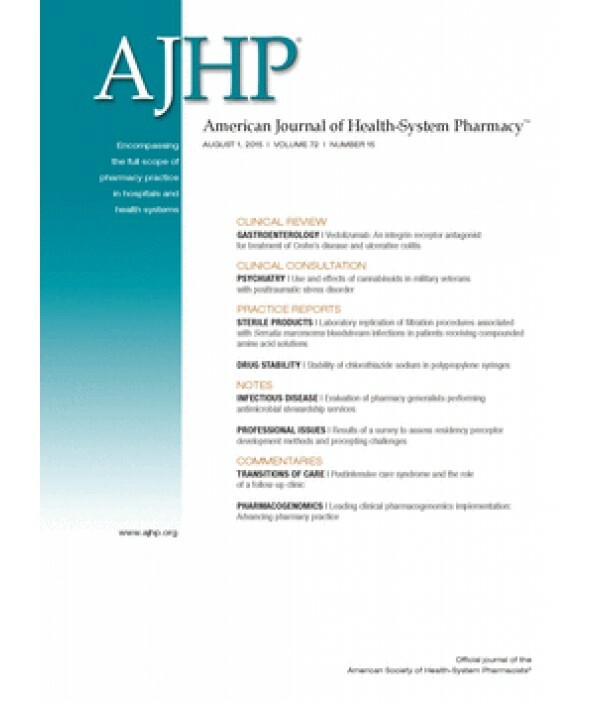 The American Journal of Health-System Pharmacy (AJHP) is the official publication of the American Society of Health-System Pharmacists (ASHP). It publishes peer reviewed scientific papers on contemporary drug therapy and pharmacy practice innovations in hospitals and health systems. With a circulation of nearly 40,000, AJHP is the most widely recognized and respected clinical pharmacy journal in the world. Articles in AJHP are abstracted and indexed in PubMed and many other scientific databases. The views expressed by authors of contributions in AJHP do not necessarily reflect the policy of ASHP or the institution with which the author is affiliated, unless this is clearly specified. Policy statements and official positions of ASHP are clearly labeled as such. Authors, reviewers, editorial board members, contributing editors, and AJHP editors are required to declare potential conflicts of interest regarding manuscripts submitted for publication.